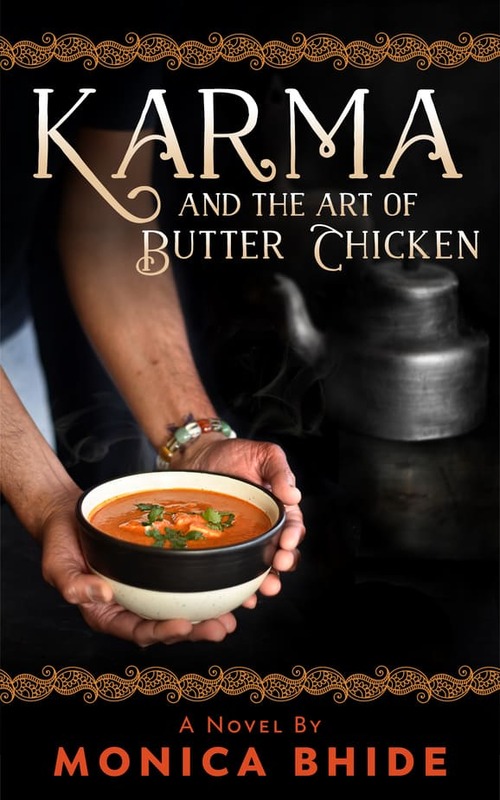 *Disclosure: I did receive a complimentary e-copy of Karma and the Art of Butter Chicken from the author, Monica for the purpose of reviewing it. Opinions are my own. I received no further compensation for this post. What does it mean to be charitable? How does one find their happiness? Is everything that happens to us, our destiny? Or do the choices we make shape our destiny? How does one emerge from the shadows of a painful past? Or does one ever emerge from the shadows of one’s past? Karma And The Art of Butter Chicken had me thinking on these lines throughout the book. Eshaan grew up knowing poverty and hunger. So he cooks and feeds people. And wants to open a kitchen to feed the hungry. But will he ever figure out what his destiny is? Will he ever find his way? Will he be able to bring people together through his food?Full of life’s twists and turns, the book focuses on a lot of cultural issues India as a country faces. In one engrossing book, Monica takes the readers through the lanes of Delhi to introduce them to poverty, corruption, superstition, lack of gay rights, religious and other hate crimes. I loved the characters. So flawed! Just like real life. I loved the fact that Monica didn’t try to make anyone perfect. I did however not connect with Kitt. Her character needed a bit more depth. Why was she acting the way she was acting? There were moments that made me chuckle despite being on edge about Eshaan and what befalls him next. These were the ones with the celebrity judging a food show, the description of the judge chefs and the whole drama in a reality food show. And I loved the poetry, flowing through the pages. Most of all I loved the connection of food with the story and the characters. I was left wanting for more. What happens next? We just have to wait and find out when the sequel comes out. 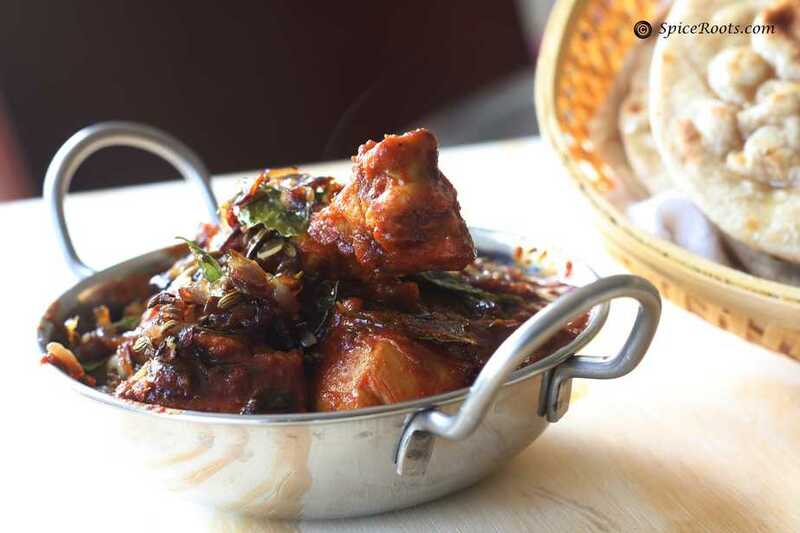 Until then enjoy the Instant Pot Butter chicken recipe that I created for just this post. She had me craving for some butter chicken along with other food. 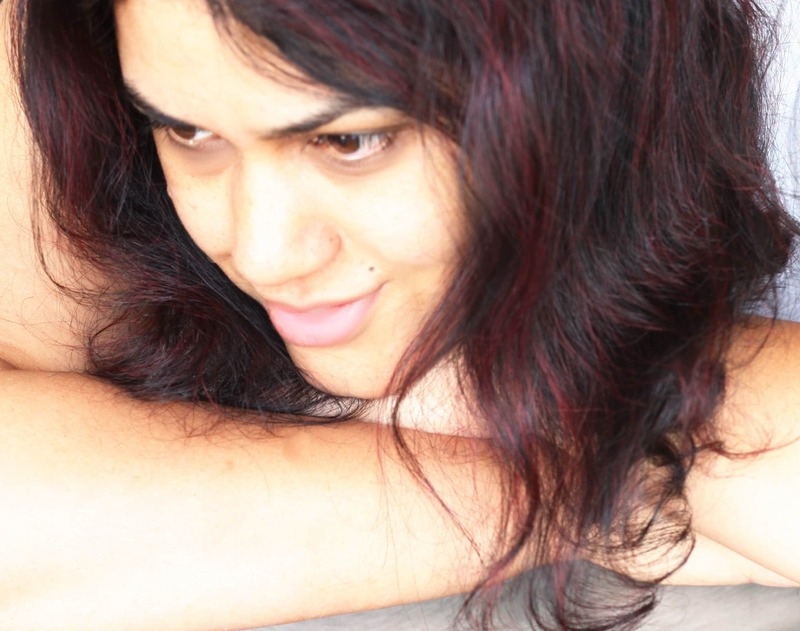 Also to know more about Monica and get her recipes, visit her at her website. 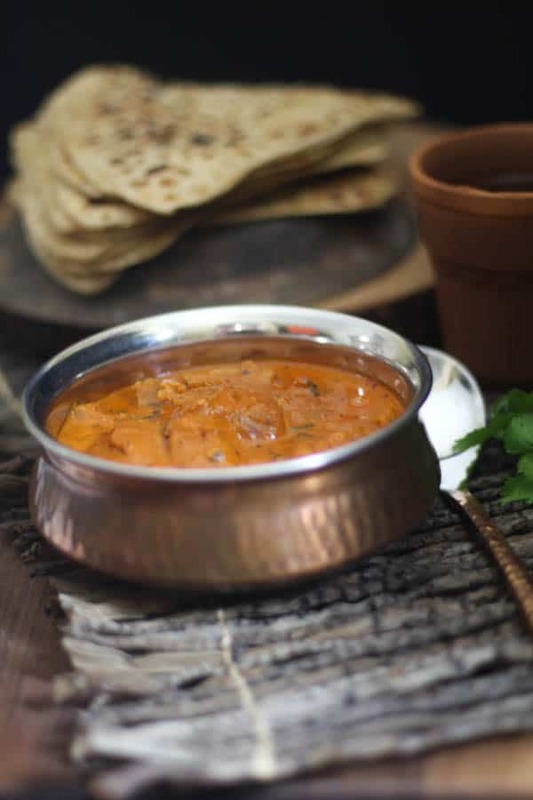 The novel comes with a free e-cookbook that features some terrific easy Indian recipes, including, butter chicken! 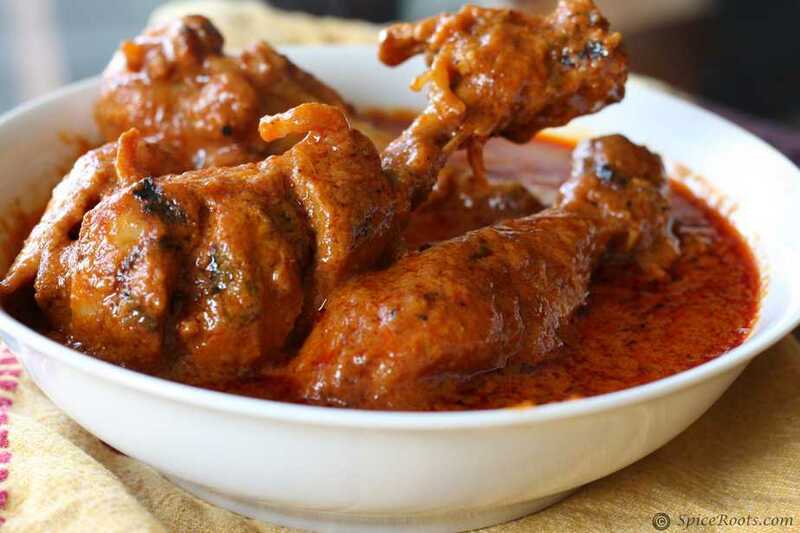 I based this recipe of butter chicken on her recipe which you can find here. 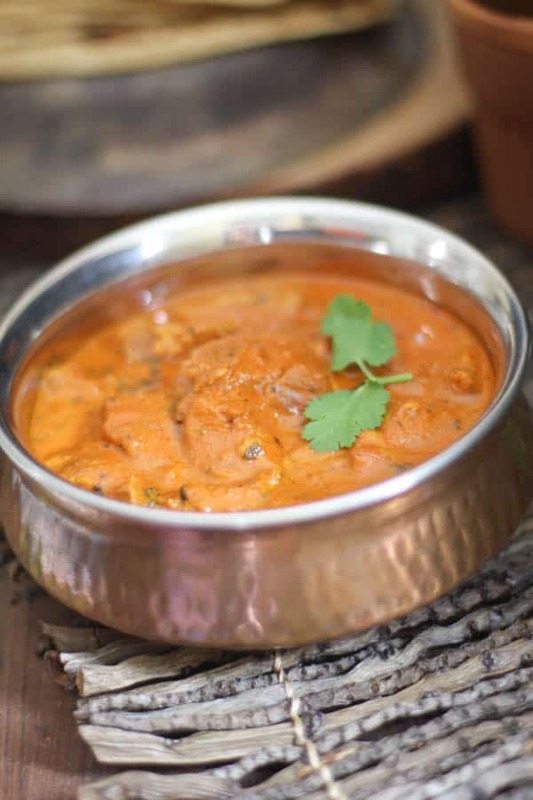 But since some of you had asked for an easy instant pot recipe for chicken, I thought this would go well with the review of the book and help me satisfy my craving for butter chicken. Add the butter once the inner pot is hot. Add in the chicken, saute for 1 minute. Then add all the ingredients except cream, garam masala and cilantro. Stir to mix. Add 1/2 C water. Close lid. Set to manual, vent closed, high pressure 10 minutes. Do an NPR for 15 minutes and then add the cream garam masala and cilantro. cook on saute for a 3- 4 minutes. 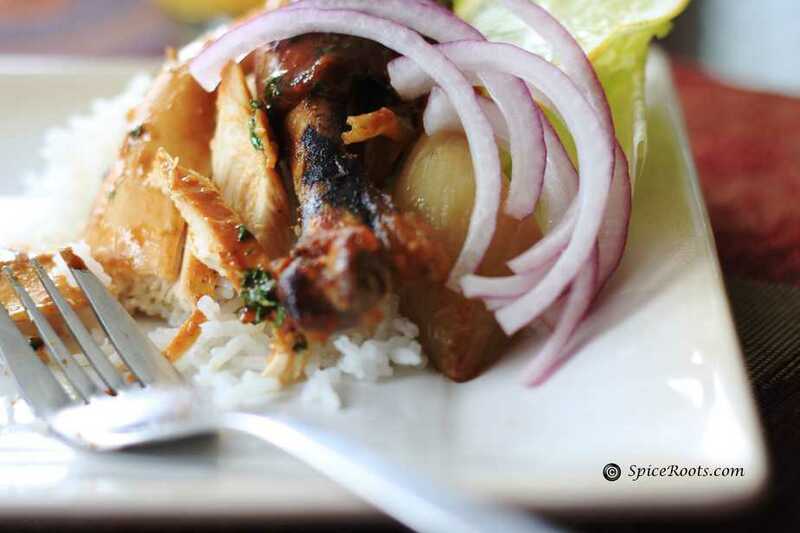 Serve with Paratha or Naan, some raw onion salad and a glass of Indian buttermilk. I really love this recipe. Any advice on doubling it? When I just make it per the instructions it turns out great but when I try to double it the gravy is very watery and it’s not as flavorful. I’m guessing from the chicken. I would love to be able make a big double batch and freeze it! 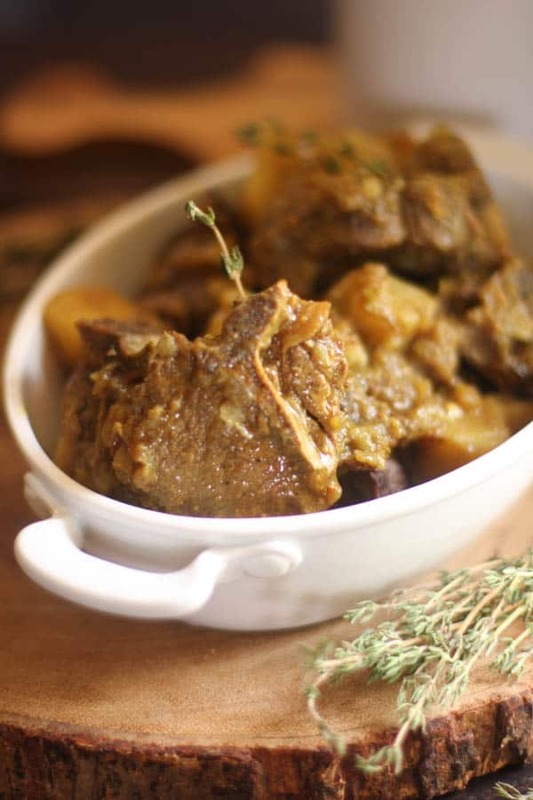 SInce this is an instant pot recipe, you do not need to double the water. Half a cup of water will be more than enough for the doubled recipe also. Because chicken usually releases a lot of water back in. Hope that helps.